When a full moon rose dramatically over the Judean wilderness last evening, from my vantage point in Bethlehem, I was reminded that Ramadan 2013 was already half over! In my previous post on this topic, three years ago now, I hinted at a follow-up on some of the history of this colorful tradition in Jerusalem. Well, time flies… Since then, the Ramadan observance, governed by an uncorrected lunar calendar, has moved forward through our Gregorian calendar by 33 days, falling now in July and into early August. My former offering was a more or less personal look at the present-day drama, which was being enacted every year right outside my window at the Ecole Biblique. Herewith, however, some historical background. Along the way, I wondered whether this custom was peculiar to Jerusalem. Not at all, it turns out — a Google search for “Ramadan cannon NOT Jerusalem” yielded over half a million hits! 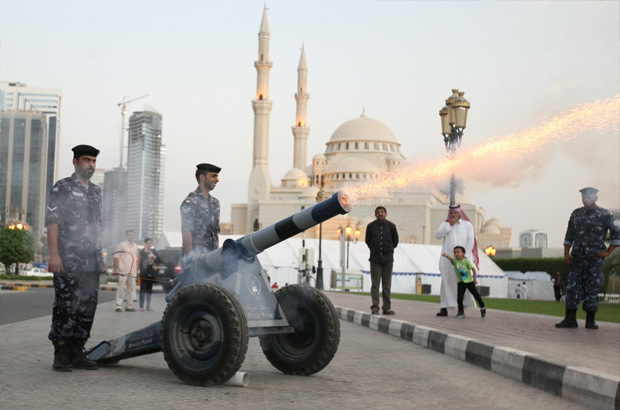 Just as an example, this one city in the United Arab Emirates, Sharjah, has 12 Ramadan cannons! They need them, I suppose, with over 800,000 people spread across some 235 sq. km (90 sq. mi.). Cairo, however, for all its millions of residents, seems to have only one. And here is a remembrance of the practice in the southern Lebanese coastal city of Sidon, whose cannons fell silent forever in the 1970s, with the outbreak of that country’s civil war. The “Cannon of Iftar” (“Midfar Al Iftar”), as it is called, is a throwback to days when life was simpler and clocks were a rare luxury. The cannon was implemented as a tool to announce the official daily sunset for the people too far away to hear the Adhaan Al Maghreb announce the breaking of the fast. The tradition of using artillery to announce sunset has its roots in the sands of Egypt when it was governed by the Ottoman Khosh Qadam, more than two centuries ago. The story goes that Qadam had been given a cannon as a gift, which he was testing during Iftar of the first day of Ramadan. 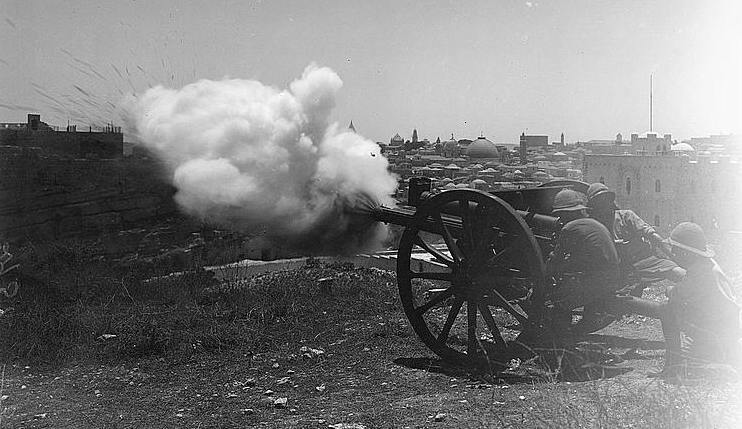 When he fired it, the whole of Cairo reverberated with the sound of the cannon. One wonders if Finn’s “Castle cannon” fired at Ramadan is singular or plural, one gun or many, as he also refers to “the Castle battery” (p. 392). Elsewhere he mentions a “lower battery” at the Citadel (by implication, there must have been an “upper” one) seemingly at street-level, with one of the guns aimed point-blank down a nearby lane! Finn also describes an occasion on which some of the Turkish guns at the Citadel were aimed into the Christ Church compound — deliberately, he says — instead of overhead, causing considerable damage! The cannon were also used in public celebrations — to mark the fall of Sebastopol in the Crimean War, for example, when an elaborate mock battle was held in the Citadel square! — and for the welcoming of foreign dignitaries and birthday salutes honoring friendly foreign sovereigns (p. 366-7, 453, 455). 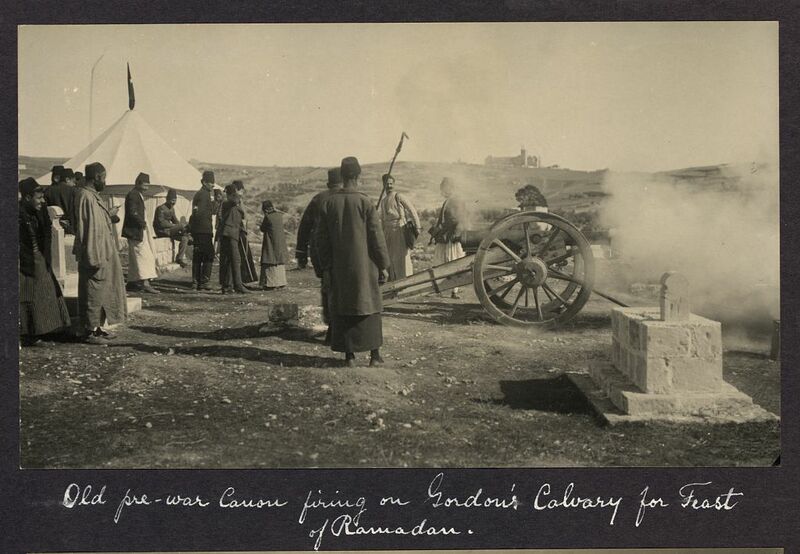 As for the Ramadan Cannon, there are several historic photographs which give some clues as to the different guns that were used at various times, and at which places. Studying the available pictures and comparing obvious details like the barrels, wheels, hubs and carriages, I detect at least four different cannons that have been pressed into service since about the turn of the 20th century. Experts in armaments (alas, not my specialty) could probably determine the vintage, make, nationality etc. of each. The following sequence represents no more than my rough chronology of the practice as it has played out in Jerusalem. 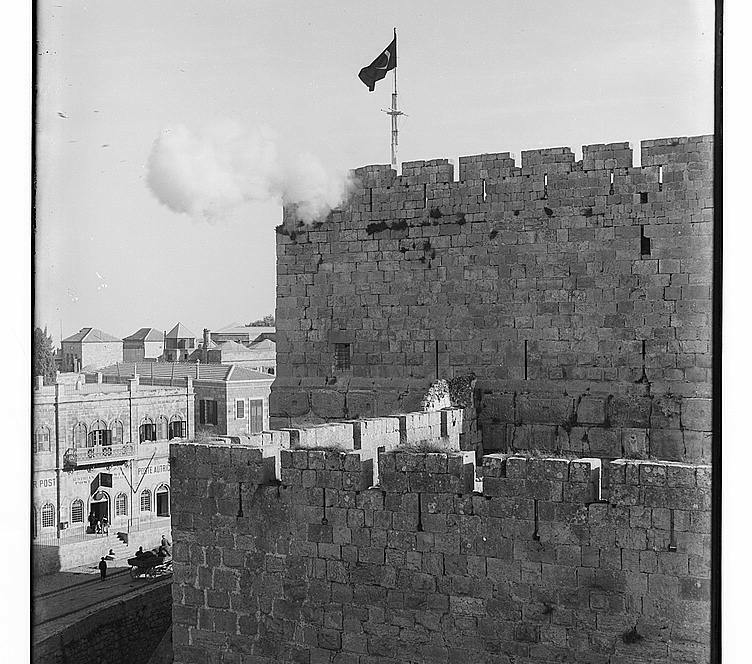 One photograph shows a cannon being fired from the top of the so-called Tower of David at the Citadel, just inside Jaffa Gate. The Turkish flag with its distinctive crescent flies nearby. This American Colony image was probably taken from atop the Grand New (later Imperial) Hotel across the street and dates to sometime between 1897, when the first Colony images were made, and 1917 when Ottoman-Turkish control over Jerusalem ended with the arrival of the British in World War I; visible at left is the Austrian Post Office (now the Christian Information Center). Following are two photographs, both dated to Ramadan, 1918 (June-July), from a personal album compiled by John D. Whiting of the American Colony. The place pictured in both is Gordon’s Calvary, a hilltop just northeast of Damascus Gate; to Muslims it is known as the es-Sahira cemetery. However, the two images show very different scenes: In the first image, looking east toward the Mount of Olives-Scopus ridge, the people pictured are locals in traditional dress. In the second photo (below), looking southwest toward the Old City, the men are clearly British soldiers, and firing a different style of gun! I thus question the 1918 dating of the first photograph (above) — I think it is probably earlier, but not before about 1910 when the German-Protestant Augusta Victoria compound visible on the skyline was completed. Indeed, Whiting in his caption calls it the “old pre-war canon [sic]”. Still, it is just possible that both cannons could have been in place, and in use, in 1918. By the way, June 10 (caption below) was the beginning of Ramadan in 1918. Whiting’s photographic print (above) was in fact made from a negative that survived in the G. Eric Matson collection. Here’s a U.S. Library of Congress scan of the negative (below), which is much clearer. 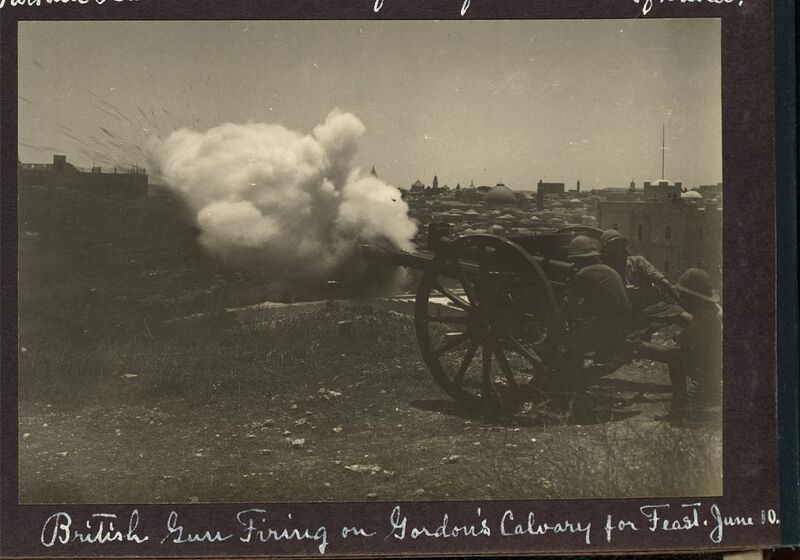 The title of this image, derived from a catalog of the American Colony photo department, reads: “Firing Ramadan Cannon on Gordon’s Calvary. Moved here since British occupation”. Putting together these pieces, we can deduce the following: There was definitely a Turkish cannon firing from atop the Citadel before 1917. 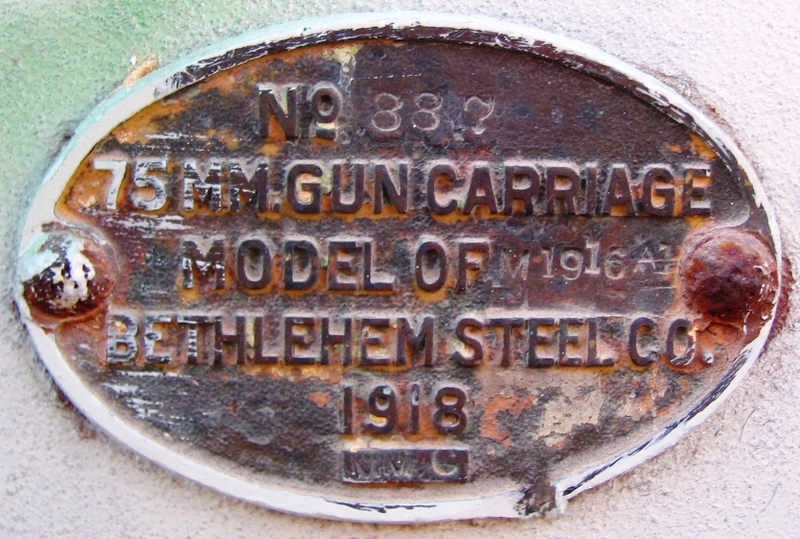 There may have been a Turkish gun on Gordon’s Calvary as well. In 1918 a British cannon was (also?) installed on Gordon’s Calvary. We can safely assume, too, that the British would have removed any Turkish guns remaining at the Citadel — apart, perhaps, from a special Ramadan cannon. Then there is a curious, brief notice which appeared in the Palestine Post (forerunner of today’s Jerusalem Post) on Oct. 29, 1937. 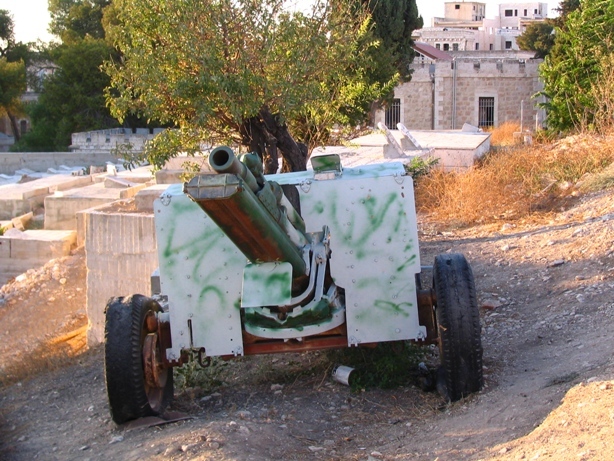 It states only that because “the city has grown to such an extent”, a second Ramadan cannon would be added, fired from another (unspecified) location, so as to be heard by all of Jerusalem’s Muslim residents. Alas, the blurb, while interesting, really raises more questions than it answers. 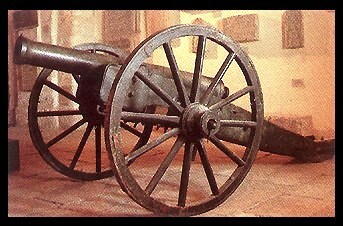 Below is a picture of what is presumably one of the retired Ramadan cannons dating to the Turkish period. Today it proudly resides in the Islamic Museum on the Haram al-Sharif (Temple Mount). A cursory comparison with the pieces pictured above — the wheels, carriage, etc. — shows that this is yet another cannon and, I suspect, much older. From 1945, the situation is clearer, and the final three photos (below) show the last in the succession of cannons used for signaling the Ramadan fast. The first was taken on the occasion of its presentation by the British to Jerusalem’s Muslim authorities. 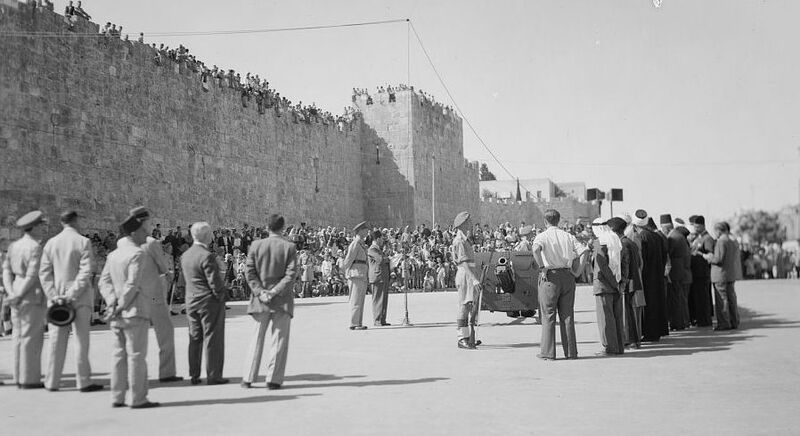 The ceremony was held in vicinity of Herod’s Gate; the view is looking west along Suleiman Street and the north wall of the Old City. The gun being presented is a 75mm Howitzer, a field piece of World War I vintage. It is said to be of a type employed by the British for training purposes, and had actually been used by the Jordanian army. The gun replaced whichever aging piece (or pieces) had previously stood sentry atop Gordon’s Calvary. The Howitzer still stands in the hilltop cemetery to this day. It remained in service, being muzzle-loaded with a charge of gunpowder, right up until 1996, when the supplier of gunpowder in Ramallah went out of business (although, as with almost everything else in this country, there are undertones of the Israeli-Palestinian conflict). Ever since, the Ramadan “cannon” has consisted a series of steel tubes from which timed charges are launched vertically –fireworks, in essence, but still yielding a respectable bang. Thus the tradition, however diminished, lives on! According to this attached plate, the Howitzer carriage at least was of American manufacture. This entry was posted in American Colony, For FUN (mostly), Israel-Palestine Scene, JERUSALEM, Modern History and tagged American Colony, British Mandate period, es-Sahira Cemetery, Gordon's Calvary, Jerusalem, Ottoman-Turkish period, Ramadan Cannon, Sandouka (family). Bookmark the permalink.